Welcome back to Monday Motivation! This weekend I spent painting my home. I stopped to see this fun block for The Splendid Sampler and had a great idea for how to make it using paper piecing for a peppermint center! 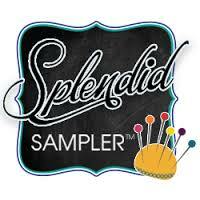 The Splendid Sampler Block 21 is an adorable sweet treat by Kris Thurgood from Girlfriend’s Quilt Shoppe! Loving that Pat Sloan and Jane Davidson invited local quilt shop owners to create designs for this fun event! Make sure to visit and support your local quilt shop! 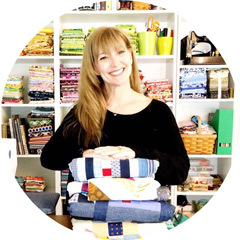 Join in for classes, block of the month, community service projects or just pick out some new fabrics for the next blocks coming up! 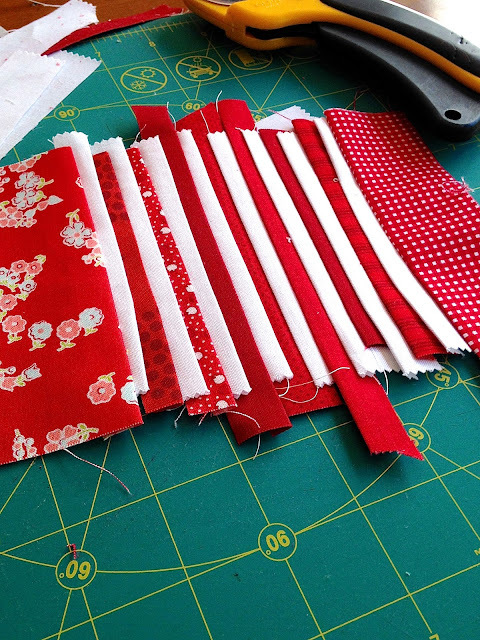 I made my Sweet Candy using a variety of reds, a few Moda Bella Solids charm pack squares for the white, and the background is Zen Chic Modern Background fabric for Moda in Ink. I pieced using Aurifil 50wt thread. When I saw the block, peppermint candy popped into my head! I wanted to make it as peppermintish as I could! I decided to create a paper pieced pattern using 1/4inch strips to create the peppermint strips. It is an easy way to make the center block have some fun texture! So pretty all trimmed up and ready to size for a perfect candy center!